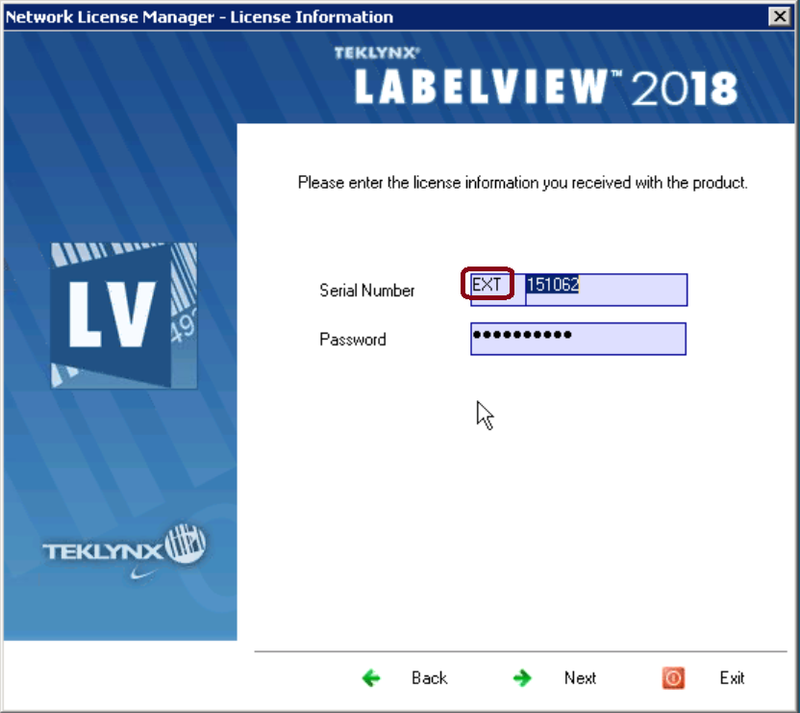 This Error Message Article explains the TEKLYNX Software (CODESOFT, LABELVIEW, or LABEL MATRIX) error message “License data are invalid. Please check license ID and password”. This article also details how to fix the underlying problem that caused it to appear. The ID and password entered by the user does not match what TEKLYNX expects. Therefore the License Manager cannot complete the activation. Several situations may cause this to occur. In the case that prompted this article, the user accidentally selected the incorrect license update option. If you received a “EXT” code and password you need to select “Extend subscription”. Typically TEKLYNX issues these codes extending the subscription period of a subscription license. You must use the password supplied with the EXT code. It will only work to extend that specific subscription. If you received a “SUP” code and password you need to select “Upgrade software license”. 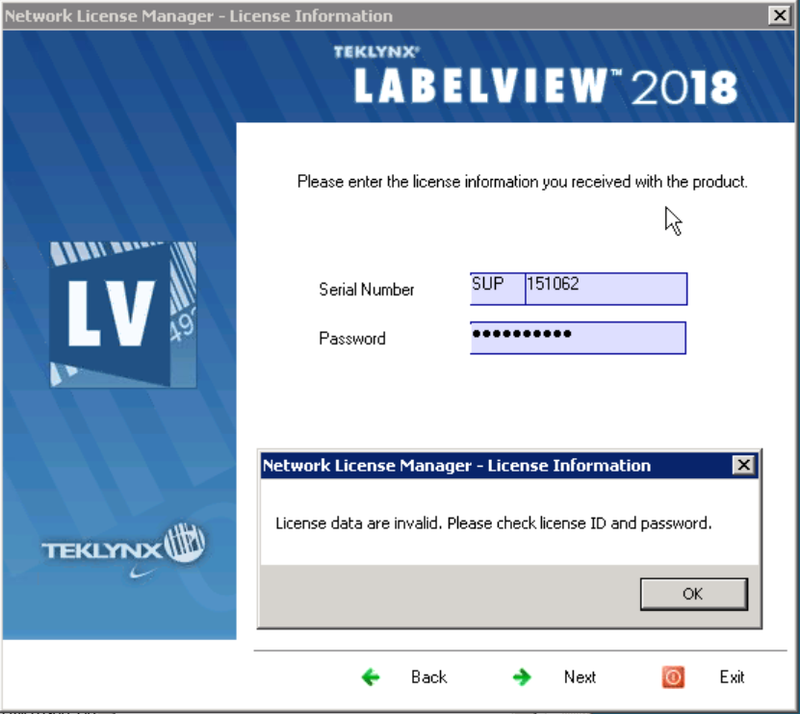 Typically TEKLYNX issues these codes for license upgrades such as additional users, added functionality, and other options. You must use the password supplied with the SUP code. It will only work to execute that specific upgrade only. Before an upgrade or subscription extension, verify you should receive both a license upgrade/subscription ID and password. If the license ID starts with “SUP”, make sure to select “Upgrade software license”. If the license ID starts with “EXT”, make sure to select “Extend Subscription”. When the ID / password screen appears, verify the correct prefix is shown at the start of the Serial Number field. It should show either SUP or EXT as the prefix depending on what selection was made on the previous screen.